The Children’s Holocaust Memorial was officially launched at the National Library of New Zealand in Wellington on 15 November, 2018. 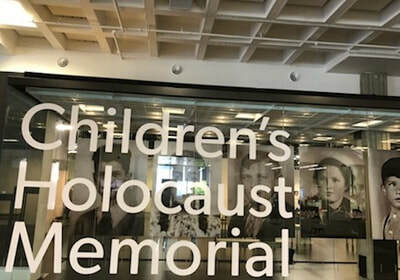 The Memorial honours the 1.5 million children killed during the Holocaust (including children related to New Zealand’s own Holocaust survivors and refugees). The Memorial is the first of its kind in the world, combining the simple everyday button as icon within a unique contemporary design-installation. The button was chosen by the then Principal of the Moriah Jewish Day School in Wellington in an effort to communicate to her students the enormity of the number of children killed. 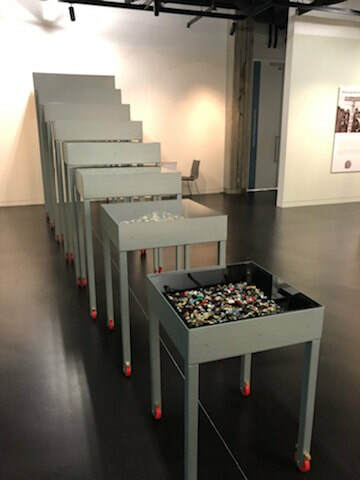 Over 1 million buttons have been collected from around New Zealand and internationally to symbolise the 1.5 million innocent lives lost. The other major element of the Memorial is an interactive educational space. The importance in a modern democracy such as New Zealand to respect and nurture diversity in all its forms – racial, ethnic, gender, sexual orientation, religious, age and disability. Understand that events have causes and effects. Understand how the ways in which leadership of groups is acquired and exercised have consequences for communities and societies. Understand how people participate individually and collectively in response to community challenges. Understand how cultural interaction impacts on cultures and societies. Understand how the ideas and actions of people in the past have had a significant impact on people’s lives. Understand how people define and seek human rights. Understand how the causes and consequences of past events that are of significance to New Zealanders shape the lives of people and society. Understand how people’s perspectives on past events that are of significance to New Zealanders differ. Understand how historical forces and movements have influenced the causes and consequences of events of significance to New Zealanders. Understand how people’s interpretations of events that are of significance to New Zealanders differ. Understand that the causes, consequences, and explanations of historical events that are of significance to New Zealanders are complex and how and why they are contested. Understand how trends over time reflect social, economic, and political forces. 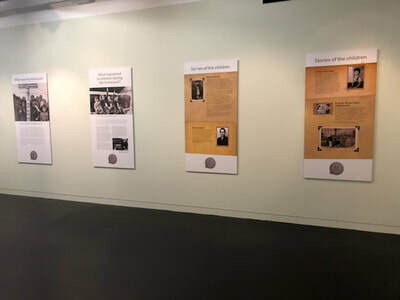 If you would like to organise a school visit in Wellington, Christchurch or Auckland during 2019, please email Chris Harris, our National Director of Education, education@holocaustcentre.org.nz. If you would like a special guided visit through the Children’s Holocaust Memorial for your managers and/or staff, please also contact Chris Harris education@holocaustcentre.org.nz. Our #Upstander initiative is focused on helping New Zealand kids who have been subject to bullying and/or harassment online, at school, or elsewhere to feel safe to tell their stories and to understand how you can practically help other kids you see being bullied or harassed. Respect others’ differences and help others to respect differences. Stop untrue or harmful messages from spreading. If someone is new at your school, make an effort to introduce them around. Help others who are being discriminated against. Using the #Upstander hashtag, post ideas and comments on our Facebook, Instagram or Twitter pages - let’s get trending some really effective tools and tips about how we can help each other to live respectfully and more safely. Mon-Fri 8am - 8pm, Sat – Sun 10am – 5pm.